Overview: Award-winning Australian forex broker based in Melbourne, Dallas and Shanghai, and regulated by ASIC and FCA. Those who trade on Pepperstone will have an exciting experience with its superior technology, low-cost spreads, quick execution and excellent customer service. U.S. traders are not allowed. Accounts: Standard account, Edge Razor account for advanced and EA traders using Raw ECN spreads from 0.0 pips, Islamic trader accounts, and high volume institutional accounts. Managed accounts also available. All funds are deposited in segregated accounts with National Australia Bank. You can trade currencies (including cryptocurrency), commodities, and soft commodities like cocoa and sugar. You can create a demo account with MT4, which is excellent for testing purposes. Features: Pepperstone gives you a total of 11 platforms to trade on, including MetaTrader4, mobile platforms, and cTrader. The highlight is Pepperstone’s EDGE environment, which makes trading quick and efficient, with reduced spreads. In a volatile market, the PPI (Pepperstone Price Improvement) algorithm helps to automatically fill orders to the most favorable price as you’re placing your order. The brokers have joined the Equinix Financial eXchange network for access to bank liquidity sources and data straight from Wall Street. There is also access to autotrading systems like RoboX and ZuluTrde, and a web-based no-download platform called WebTrader. Education: News, market reviews, an economic calendar and plenty of instructional articles by trading gurus will help you develop your strategy. Deposits/Withdrawals: More than ten funding methods are available, including bank transfers, credit and debit cards, Skrill, Qiwi, Neteller etc. for convenience. Customer service: 24/7 via online chat or email. Local phone numbers in Melbourne, Shanghai and Texas. Pepperstone vs IC Markets which is the winner ? Pepperstone and IC markets are both Aussie brokers. Both very similar but one is just a little better than the other and in our opinion, its Pepperstone that come out on top. Pepperstone Canada – Do they allow Canadian residents ? The answer is NO. A couple years back Pepperstone did allow Canadians to operate trading accounts with them. Sadly with strict regulation Pepperstone has since stopped services for Canadians. Does Pepperstone Offer any Bonuses or promotional offers? No they do not. Being regulated under ASIC, Broker are not allowed to offer such incentives. Does Pepperstone Accept US clients ? Strict US regulations forbids any US resident to operate a foreign Forex account. The plain answer is NO. Does Pepperstone allow scalping and hedging ? Yes. Pepperstone doesn’t have any issues with scalping or hedging positions. We find them as one of the most reliable brokers out there. It is one of the reasons why they are at the top of our list. Yes they are. They are regulated by ASIC which stands for Australian Securities and Investments Commission. Do the new ESMA regulations apply to Pepperstone? Yes and no. This all depends if you live in a country that falls under the EU (European Union). Pepperstone operates in Australia and is regulated under ASIC and the FCA. ESMA rules apply to any client that resides in the EU. So if you are a client that resides OUTSIDE the EU (European Union) you will fall under the ASIC regulator and the new ESMA rules would not apply to you. 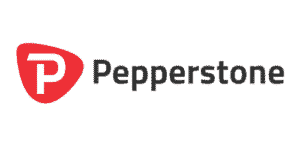 User reviews: Check out more Pepperstone Reviews below. Pepperstone is my most favorite Australian broker. Great broker. I had a bad trading experience a while ago it was difficult to get a withdrawal, I had to hire a recovery solution firm to get my funds back.